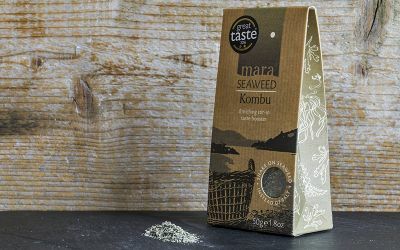 A unique blend of enriching seaweeds. 3x10g sachets. Shony is named after an ancient Hebridean sea god. 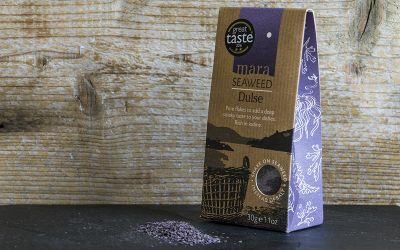 A nutritious blend of natural hand-harvested seaweed flakes. Add generously to any dish for a healthy flavour boost. Liberally sprinkle on eggs, salads, pasta and rice. Use to coat chicken or fish - mix with butter or oil. Delicious in baking or try instead of salt. Keep dry, sealed and away from direct sunlight.